In 2001, a drug dealer’s property was raided and authorities found much more than they expected. 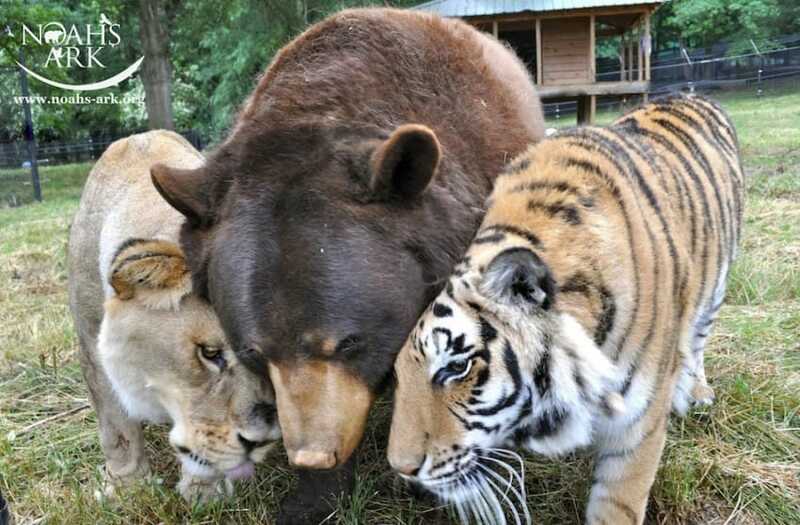 Baloo, an American black bear, Leo a lion, and Shere Khan the Bengal tiger were rescued from their abusive conditions in the drug dealer’s basement and given a second shot at life at the Noah’s Ark Animal Sanctuary in Locust Grove. The three were inseparable friends with a bond as thick as brothers. 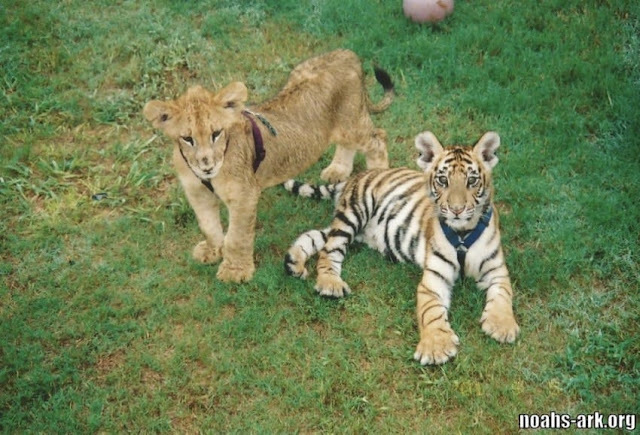 Nicknamed BLT, the group lived together in happiness for 15 years. That was all until the sanctuary workers made a horrible discovery. Leo had not been acting like himself for weeks. Refusing to move and barely eating led the staff to decide to do an exploratory surgery to see if there was underlying medical issue. The doctor revealed that Leo was in desperate health. 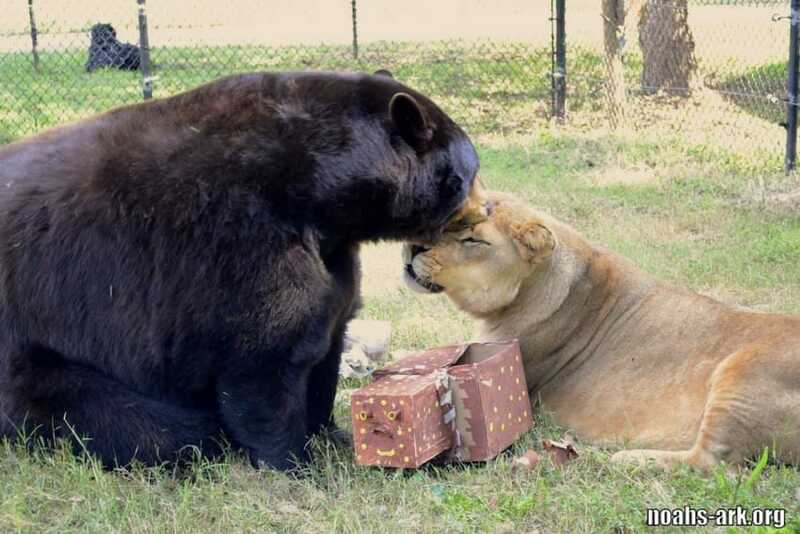 With 80 percent of his liver covered in inoperable masses, they knew the beloved lion didn’t have much time left. 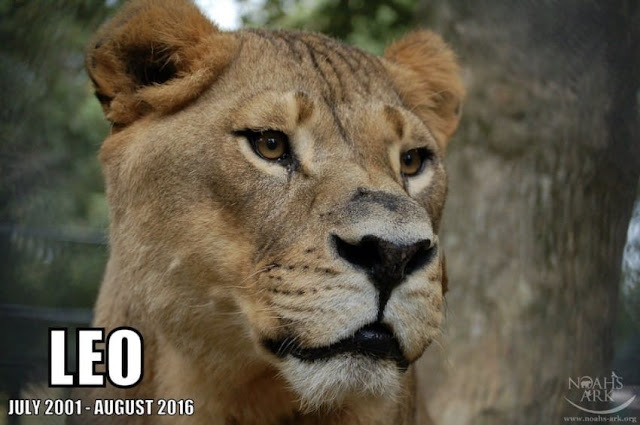 So, they began a celebration of Leo’s life. Working hard to prepare his brothers for a life without Leo, they helped BLT enjoy their last moments together. In August, Leo passed away and the sanctuary posted a sweet video to remember BLT’s days of brotherhood. 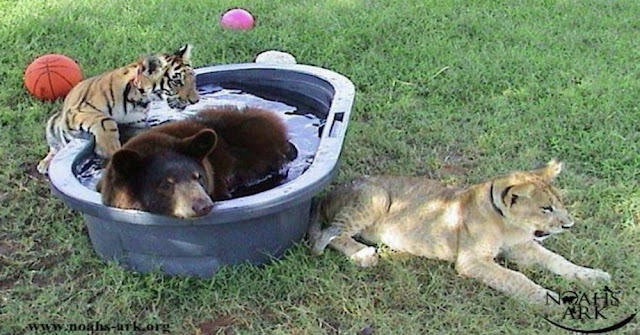 You can get more information on the Noah’s Ark Animal Sanctuary and how you can help their mission on their Facebook page.